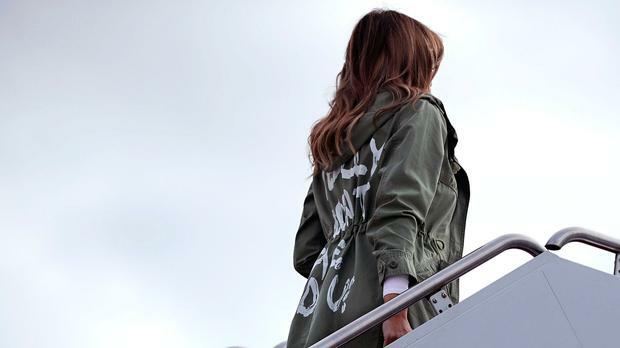 First Lady Melania Trump has come under fire for a statement-making jacket she wore while travelling to visit migrant children held in a detention shelter on the US-Mexico border. Ms Trump donned the jacket while boarding a plane bound for McAllen, Texas, where she visited a shelter for immigrant children – some of whom were separated from their parents under the Trump administration’s “zero tolerance” immigration policy. The first lady wore a different pale yellow jacket when when she disembarked. The “zero tolerance” policy involves all adults who cross the border illegally being sent for prosecution, meaning children are taken into the care of the government while cases are processed. Photos of the jacket – from fast fashion retailer Zara – circulated quickly online, stirring outrage over what some felt was an insensitive choice. “After today’s important visit to Texas, I hope the media isn’t going to choose to focus on her wardrobe,” Ms Grisham said. Ms Trump’s border visit came one day after her husband bowed to public pressure and signed an executive order to end family separations at the border. More than 2,300 children were separated from their families between mid-April and early June. 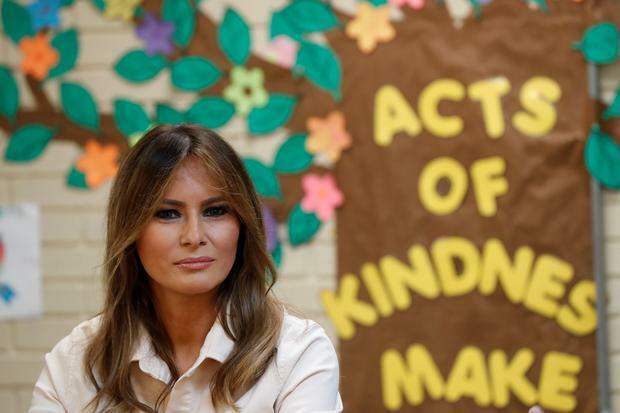 As the first lady was visiting Texas, Mr Trump said at a cabinet meeting that he was directing federal agencies to begin reuniting children and parents separated at the US-Mexico border, a first step to implementing his executive order. Under Mr Trump’s executive order, immigrant families will now be housed together in detention centres while individual family members face charges. Activists have protested this response, saying it will only result in the indeterminate detention of more children. 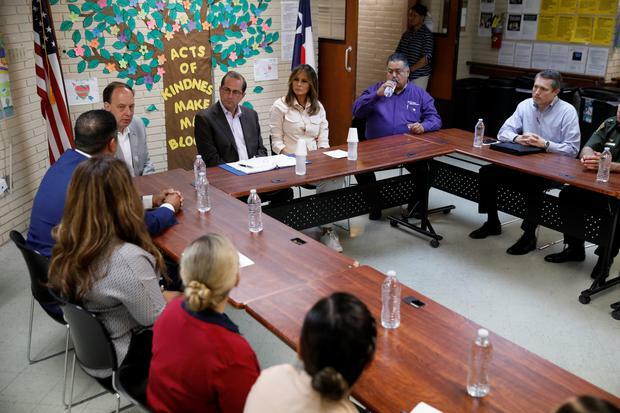 Ms Trump visited the Upbring New Hope Children’s Shelter on Thursday, which is home to some 55 migrant children placed in the care of Health and Human Services. Most of the children came from Guatemala, according to a senior administration official, and were between the ages of 12 and 17. Six of the children were separated from their families upon reaching the border, while the rest arrived unaccompanied. The first lady spent approximately 75 minutes at the shelter, according to pool reports. She also met with shelter employees and government officials, who she praised for doing “heroic work”. Health and Human Services has yet to release any details on how they will reunite the 2,300 children separated from their families before Wednesday’s executive order. Previous articleA woman’s place is in … the audience?